The Yankees shutout the Orioles, 5-0, on Wednesday night behind six dominant innings from Michael Pineda. This was their fourth win in a row (three against the Orioles) and they are doing what is needed right now to not be sellers before the trade deadline. In their last 10 games, the Yankees have done 7-3 and those games have all been against the Indians, Red Sox and Orioles, who would all be in the playoffs if the season ended today. They have been able to get three games closer in the division and are now six games behind the Red Sox after knocking the Orioles out of first place. They are five games out of the second wild card spot, but only two teams are now between them and the Blue Jays. First time since 2003 that the Yankees have held the opposition to one run or less for four games in a row. The Yankees are 48-46 and are two games above .500 for the first time since they were 4-2 in the beginning of the season. Pineda only allowed five hits in his six innings pitched and was able to rebound well after giving up five runs in each of his previous two starts. He had an impressive eight strikeouts and only two walks and 70 of his 113 pitches were strikes. He showed great poise and heart in the sixth inning as he was able to prevent Mark Trumbo from scoring after he doubled to leadoff the inning. Pedro Alvarez hit a sacrifice fly to advance Trumbo to third and then Pineda struck out the next two batters. That run likely would have scored in some of Pineda’s other starts this season. When you can get outs with runners in scoring position those are the most crucial outs of the game,” Joe Girardi said in reference to Pineda’s sixth inning. The Yankees still only had a 2-0 lead in the top of the sixth inning. Pineda’s slider and fastball were on point so he didn’t need to go to his change very much. Pineda stayed focused and didn’t hang any of his sliders. 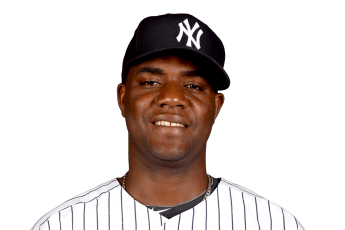 Pineda is third in the American League in most games with 8 or more strikeouts with 8. After Pineda came out of the game in the sixth inning, the Yankees bullpen held the Orioles scoreless in the last three innings while not allowing a hit. Dellin Betances had one strikeout and Chasen Shreve recorded two strikeouts. A catalyst for the Yankees recently has been that they have 28.2 consecutive scoreless innings from their bullpen. Carlos Beltran had two RBIs including a 399 foot homer to right in the 8th inning. In the sixth inning, Beltran did something that’s rarely seen from a power hitter. He had a push bunt on a shift off of Gallardo for a single to help give the Yankees an extra run since Mark Teixeira walked with the bases loaded in the sixth inning. The game was still close as Jacoby Ellsbury’s run on Teixeria’s walk made the score 3-0. Brett Gardner hit the team’s second RBI sacrifice fly of the game in the seventh inning. His sac fly scored Ronald Torreyes, who had hit a triple to the wall. Mark Teixeria, who was playing in his first game since July 16 after being hit by a ball, hit a homer in the fourth inning on a slider to go with his two walks. He really adds a lot to the offense if he can produce in the middle of the order as opposed to the lack of production that he gave the team earlier in the season. Teixeira, who still has a low .189 average, now has five homers in his last 16 games after having only three in his first 48 games. Homers in the middle of the lineup is what the team is counting on from Teixeira. Beltran, who is 39, leads the team in average (.304, homers (20), RBI (60) and hits (97). He is on track to have much better numbers than last season and in turn if the Yankees decide to sell they will be able to get talent back that will be able to really help the team next year and down the line. If the Yankees can get the win on Thursday they will have swept the Orioles and it will be their third four-game sweep of the season but first against a team as good as the Orioles. The Yankees were able to end their three-game losing streak with their 5-4 win over the Detroit Tigers in Detroit on Thursday night. They previously lost three consecutive games in Toronto where they scored a total of only three runs. Michael Pineda got the start during this makeup game from the beginning of the season and he definitely pitched well enough to stay in the rotation. General Manager Brian Cashman talked before the game about demoting him from the rotation if had another subpar start. Going into last night’s game, Pineda’s 6.92 ERA was the worst ERA of any pitcher who had thrown enough innings to qualify for the ERA title. However, in this game, he pitched like he is capable of as he allowed one earned run in 5.2 innings pitched. He recorded an impressive eight strikeouts, allowed seven hits and didn’t walk a single Tiger. He has been limiting the walks and piling up the strikeouts most of the season, but he has struggled mightily in the first inning and with the long ball and with allowing minor issues to turn into multiple runs. This game was different for Pineda compared to what had happened to him in many previous starts. He struck out Cameron Maybin to begin the game, but then allowed back-to-back hits to J.D. Martinez and Miguel Cabrera. However, this time he didn’t allow those runners to score since he was able to get Victor Martinez to hit into a double play to end the frame. Proving how much the opening frame has been a problem for Pineda is that 36 percent of the runs that he has allowed this season have come in the first inning (15 of the 42 earned runs). He allowed more hits (7) than innings pitched but he managed to limit the damage to only one earned run. His slider was a strength tonight – generating 13 whiffs with the slider tonight, good for a 40.6% rate. When his slider is on it is a sign that Pineda is pitching well. What is so frustrating about Pineda is that last season on Mother’s Day he had 16 strikeouts and allowed only one run to the Orioles and this season he has now allowed two runs or less in a start five times, which proves his potential. However, what has led to his ERA being 6.41 in the beginning of June is that he has given up five runs or more five times (with one start where he allowed three runs). Joe Girardi and pitching coach Larry Rothschild hope and need him to be more consistent than he has shown because he has been by far the worst pitcher in the rotation. Last season he ended the campaign with a 4.37 ERA but he was able to truly show what he is capable of in the 2014 season. He missed about a month and a half due to injury but was able to have an outstanding 1.89 ERA in 13 starts. He had 59 strikeouts and seven walks, which is a very good strikeout to walk ratio, and he allowed two runs or less in 12 of his 13 starts. He has the ability to be a No. 2 type starter. Thursday’s start could be the one that leads to him having sustained effectiveness similar to what he showed in 2013, which was his first healthy season as a Yankee after being traded to the team before the 2012 season. 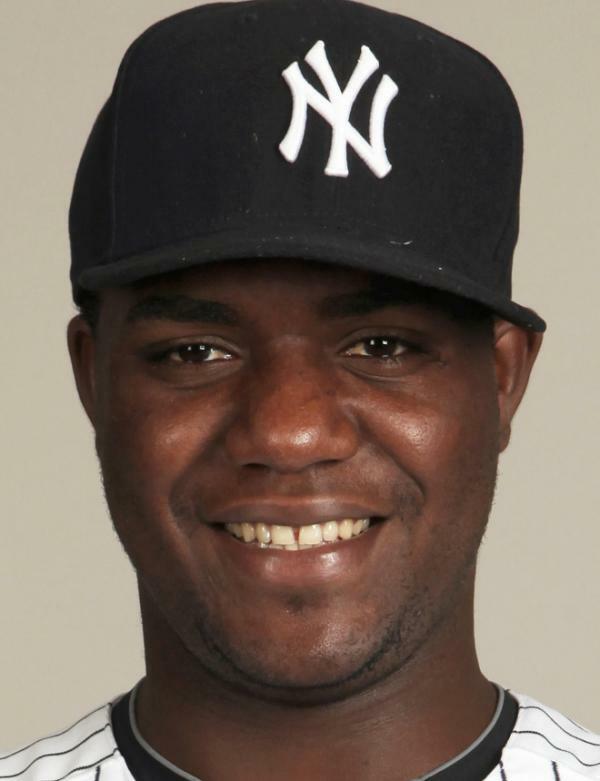 They will need Pineda to pitch well to have a chance of getting back in the race in the AL East. It appeared that the Yankees would win easily as they had a 5-1 lead going into the bottom of the seventh inning. The Yankees exploded for four runs in the seventh on a Rob Refsnyder RBI single that scored Chase Headley, an RBI single by Aaron Hicks that scored Austin Romine and a triple to deep right by leadoff hitter Jacoby Ellsbury that scored Refsnyder and Hicks. However, in this game, the trio of Dellin Betances, Andrew Miller and Aroldis Chapman, which has been extremely reliable when all pitching in the same game, was not during the seventh through ninth innings. But they were able to luckily limit the damage to three total runs, which led to the Yankees escaping Detroit with a win. Betances struck out three in his 1.1 innings but he allowed an RBI double to make the score 5-2. Miller, who still has a very low 1.25 ERA, walked two batter in the eighth and gave up an RBI double. Chapman was really able to get out of trouble in the ninth since he loaded the bases with no outs and then got J.D. Martinez to hit into a double play, which scored the Tigers fourth and final run. Refsnyder, who has gone back and forth from Triple-A Scranton this season, should stay with the Yankees. They would not have won the game without him since he scored the team’s first run in addition to scoring and driving in a run in the seventh. He is now hitting .400 in 10 at-bats this season and is valuable off of the bench because he produces offensively and can play second, third and outfield. The Yankees, who are now 25-28 and 6.5 games behind the Boston Red Sox (32-22) for first place in the AL East, will begin a three-game series in Baltimore against the second place Orioles (30-22) on Friday night. It will be important that the team continues to get the offensive production that they did on Thursday during the series in Baltimore. The Yankees (13-19) lost to the Kansas City Royals on Wednesday night, 7-3, at Yankee Stadium. Michael Pineda allowed six runs in 5.2 innings pitched, but he allowed four of his six runs in the first inning. This continued his trend of struggling early in the contest but then rebounding. He needs to find consistency, so that he is a reliable pitcher in the beginning of the game. He has really struggled in the first two innings this season as 20 of the 27 earned runs that he has allowed this season have come in the first two frames. He has been a completely different pitcher after the second frame, but his inability to prevent runners from scoring in the first two stanzas has led to him having a very high ERA of 6.28, a WHIP of 1.60 to go along with hitters having a .306 average against him in his seven starts. After Alex Gordon’s sacrifice fly scored Lorenzo Cain, Salvador Perez would go onto smash a three-run homer to left that gave the Royals their fourth run of the first inning. That homer by Perez ended up being the difference in the game. Pineda has struggled with the long ball this year as his nine homers given up are tied for the fourth most in the American League. Pineda has allowed a solid two earned runs in four of his seven starts, but that is not good enough because in his other three starts he has given up six, seven and six runs, respectively. He is obviously not injured based on the way he has pitched after the second inning, but he just needs a different mindset so that he doesn’t have starts where he allows four runs in the first inning. With Wednesday night’s loss, the Yankees now have a 5-3 record in the last eight games. They are starting to turn the season around because in their previous eight games they had a record of 1-7. A factor in the team winning more games in the last eight contests is that they have scored 38 runs in that span versus only 17 runs in the stretch when they went 1-7. A positive development during this stretch of improved offense has been the play of Aaron Hicks, who was traded to the Yankees in the offseason. He has gotten consistent at-bats since he has been playing everyday in the outfield as a result of Carlos Beltran being the DH with Alex Rodriguez on the disabled list. Hicks was 3-4 on Wednesday night, and in the last seven games he is an impressive 9-21 (.429) with one double, two homers, five RBIs and five runs scored. His average was .067 on May 4 and is now a much more respectable .216. Beltran, who was 2-4 last night with a solo home run, has hit well during the month of May. He is 10-36 (.278) with three homers, four doubles, five runs scored and six RBIs. There have been 10 of the team’s 32 games during May, and three of his seven homers have come during May in addition to six of his 15 RBIs. Beltran also hit his 399th career homer last night, which puts him in a three-way tie for 54th on the all-time list with Al Kaline and Andres Galarraga. Three Yankees are in the top five on the all-time switch hitter home run list as Mark Teixeira has 397, Beltran has 399 and Chipper Jones retired with 468, Eddie Murray retired with 504 and Mickey Mantle retired with 536. Chase Headley had a single to shallow left in the second inning to score Hicks for his only hit of the game. He has a very low .178 average this season, but the third baseman has a .278 average (5-18) in the last seven days to show some signs of improvement. However, Headley still does not have an extra base hit this season and has only four RBIs. Proving how Headley has not done his part as an everyday player is that 26 pitchers have an extra base hit this season while Headley does not have one. The Yankees will play the series finale against the Royals tonight at 7:05 p.m. They will win the series if they win tonight’s game that will be started by Nathan Eovaldi (4.78 ERA). In Eovaldi’s previous start, he dominated in eight innings as he allowed two runs and struck out six. Joe Girardi has said that the goal is to win consecutive series that they play, and the Yankees should be able to get back into the race in the American League East if they can win the next five series that they play. They went into this series having won their previous two. The Yankees (83-68) currently have a 4-game lead for the first wild card spot, which means they are on track to hosting the Houston Astros, the Minnesota Twins or the Anaheim Angels in a one-game playoff for the right to play in the ALDS. Houston is currently the second wild card with an 80-73 record, the Minnesota Twins are one-game behind the Astros and the Anaheim Angels are 1.5 games behind the Astros. The best matchup for the Yankees would be if they end up playing the Twins in the wild card game. The Twins No. 1 starter is not nearly as good as the No. 1 starters on the Angels or Astros, and the Yankees had a lot of success when playing against Minnesota. However, the Yankees need to win three or four games during this upcoming series against Chicago to keep their slim chance of winning the AL East alive. In tonight’s game, hyped prospect Rob Refsnyder will get his first start since he went 0-3 against the Mariners on July 18. He was sent back down to Triple-A Scranton after that game and before tonight’s game has only had two at-bats this month. Refsnyder will try to live up to the offensive success he has had in the minor leagues the last few years, but he will be getting a challenging matchup tonight as he will be facing Chris Sale, who is one of the best pitchers in the American League. Back-up catcher John Ryan Murphy will get the start for Brian McCann, Chris Young will get the start in left field because Sale is a lefty and Young has performed very well against lefties this season, Brendan Ryan will get the start at shortstop for Didi Gregorius and Dustin Ackley will get the start at first. Greg Bird, who is on an 8-game hitting streak, has started at first in the last nine games. Gregorius has started every game at shortstop since July 25, when Ryan got the start at short. Michael Pineda, who will start tonight’s game, allowed zero runs and struck out four in 5.1 innings in his last start against the Mets. That was his third time this season that he hasn’t allowed a run and his first since July 4 against the Rays. He bounced back well since he had given up four runs in each of his last two starts before that start against the Mets.